Can anyone provide further information about the GEC of China Ltd in Hong Kong? 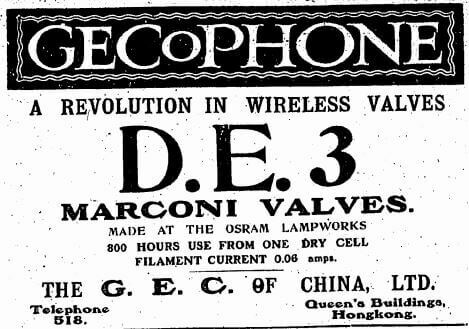 This 1924 advert has their location at Queen’s Buildings In Hong Kong. Until corrected I am presuming that the company was a subsidiary of the British General Electric Company (often abbreviated to GEC) which came into being in 1886 (1888?) 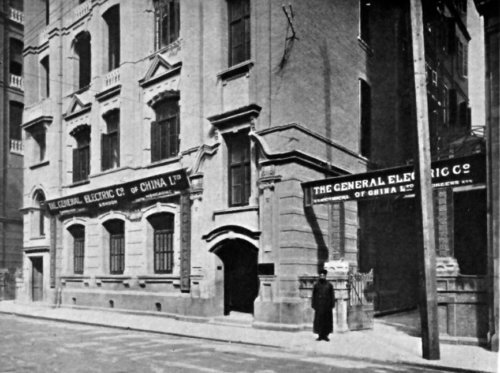 when the original General Electric Apparatus Company changed its name. And not the American, General Electric (GE). This article was first posted on 8th May 2017. See: The Virtual Shanghai Project is a research and resource platform on the history of Shanghai from the mid-nineteenth century to nowadays. It incorporates various sets of documents: essays, original documents, photographs, maps, quantitative data, etc. The objective of the project is to write a history of the city through the combined mobilization of these various types of documents.